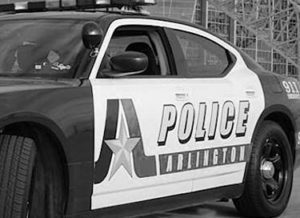 If you were recently involved in a car accident in Arlington, you can obtain a copy the accident report from the Arlington Police Department. There are a few ways of going about getting a copy of your Arlington car accident report, you can either go in-person, request it by mail, or online. Or, we’ll get your Arlington accident report for you. Just provide the details of your accident, and we’ll do our best to track down your Arlington accident report and email it to you. One option you have to get your Arlington car accident report is to head down to the Arlington Police Records Unit office which is located at 620 W. Division St Arlington, TX 76011. If you choose to request an Arlington car accident report online, you will need to put in an open records request form. Here, you will need to request an Accident/Crash report (referred to as a CR-3 form). It is uncertain how long it will take to receive your Arlington car accident report. However, the law requires that the city of Arlington must inform you of any information for your request within 10 days. Obtaining a copy of your Arlington car accident report is a very important piece of evidence when filing for personal injury compensation. We recommend taking advantage of our free case review to receive the maximum financial compensation for your car accident injuries. Our Texas injury lawyers will listen to every detail about your case and give you sound advice on the best options.